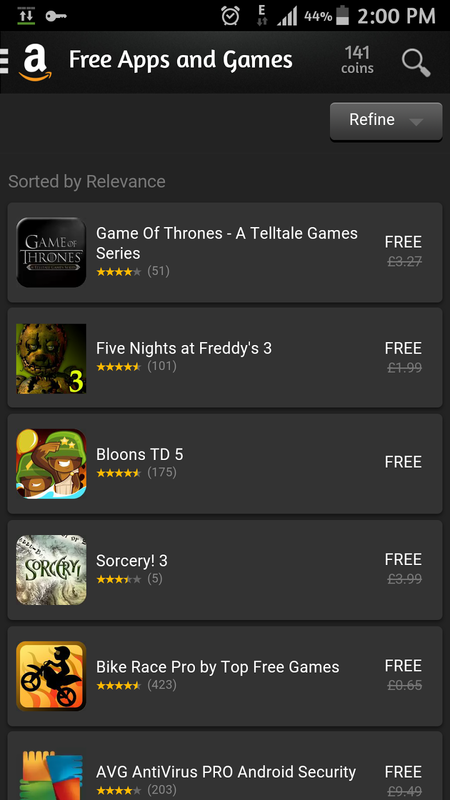 In its usual benevolent self, Amazon is offering £75 worth of paid apps as free downloads from the Amazon App Store. 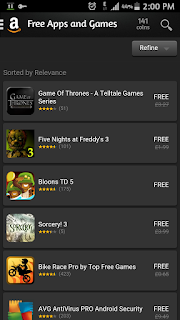 The apps includes the Game of Thrones game, Star Traders 4X Empires Elite, Five Nights at Freddy's 3, Star Command, AVG AntiVirus PRO Android Security, Fleksy Keyboard, Language Coach, Photo Studio Pro among others. The offer is time limited and would end on 16th of May 2015. To download any of these apps for free, all you would need to do is to have the Amazon app store installed on your device.